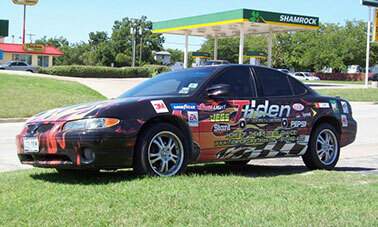 Tilden Car Care Center will not be responsible for any consequential or indirect damage under this warranty. Implied warranties shall be limited to the duration of this warranty and shall exclude consequential damages. This warranty gives you specific legal rights, and you may have other rights which vary from state to state. All potential warranty claims must be raised first with the manager at the Company location that originally performed the work. Tilden Car Care Center will not reimburse customers for duplicate or corrective work performed elsewhere. A buyer of Tilden Car Care Center products or service has the right to have warranty service performed during the warranty period. The warranty period will be extended for the number of whole days that the vehicle has been out of the buyer’s hands for warranty repairs. If a defect exists within the warranty period, the warranty will not expire until the defect has been fixed. The warranty period will also be extended if the warranty repairs have not been performed due to delays caused by circumstances beyond the control of the buyer, or if the warranty repairs did not remedy the defect and the buyer notifies the Service Center which performed the warranted service of the failure of the repairs within 60 days after they were completed. If, after a reasonable number of attempts, the defect has not been fixed, the buyer may return their vehicle for a replacement of parts, if applicable, or a refund, in either case, subject to deduction of a reasonable charge for usage. This time extension does not affect the protection or remedies the buyer has under other laws. No representative of Tilden Car Care Center has authorization to make statements or promises other than those stated within this warranty.